When are Scleral Contact Lenses Fitted? ​Corneal Distortion, Pellucid Degeneration, and with poor vision after Lasik or RK surgery. These lenses virtually eliminates severe dry eye symptoms. Guaranteed! Bifocal types are fitted too. BioMed Soft Contacts filter vision using special tints to help relieve headaches.​ Available for astigmatism too. Color vision testing is done to determine your needs. Then any color vision deficiency can be corrected with glasses or contact lenses. ​Synergeyes are for astigmatism, bifocal needs, keratoconus, after corneal surgery or people with gas perm types. 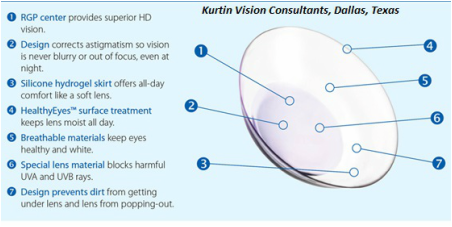 Orthokeratology (Ortho-K) treatment fixes vision using contact lenses designed to change the corneal shape. This can be done during sleep or waking hours depending on your needs. 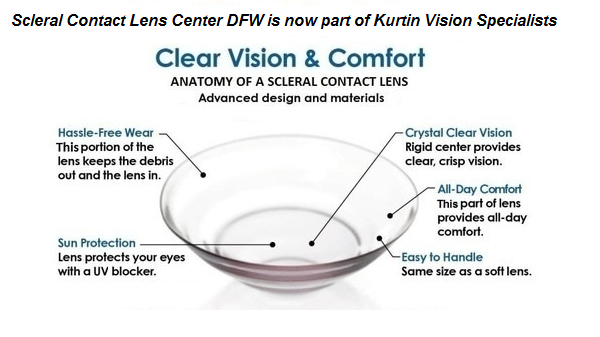 © 2014 All content is the property of Kurtin Vision Specialists or respective copyright or registered owners. *Chromagen lenses will help dyslexic children improve reading or get a lens refund within 30 days of dispense. Chromagen lenses for color vision are not refundable. 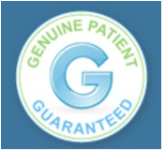 **Vision & Comfort Guarantee for contact lenses are a 100% refund on lenses when purchased through the office within 30 days from purchase. Excludes use of insurance. ***Most online eyeglass frames may be purchased via multiple sites on the web with lens options in office to fill your Rx.